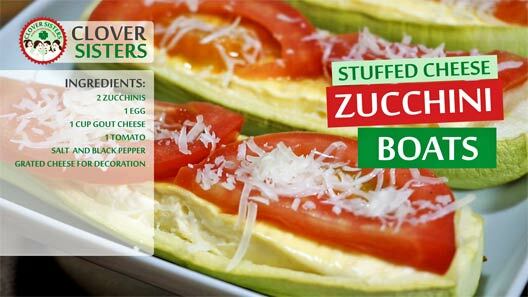 Creamy taste of the filling and melting freshness of zucchini makes this stuffed cheese zucchini boats perfect choice for children’s snack. Having small children makes each meal a small battle, struggle with their huge need to eat absolutely nothing healthful, or just absolutely nothing at all. 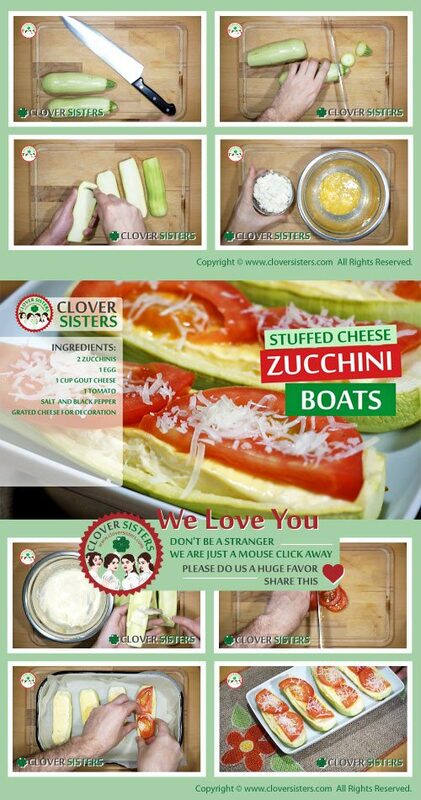 This food made in small boat-like pieces helps me to gain advantage. Whisk cheese with an egg, season to taste and fill zucchini halves. Bake on 400 F (200C) for 30 minutes. While still warm, decorate with tomato slices and grated cheese.